.The Howard E. Tatel Radio Telescope, built in 1958, was the first major radio telescope at the National Radio Astronomy Observatory (NRAO) in Green Bank, WV. It is also known as 85-1, the first of three 85-foot telescopes of similar design built at NRAO. Built by the Blaw-Knox Corp. of Pittsburgh, PA, it began regular observations in February 1959 and did much of the pioneering radio astronomy at NRAO. 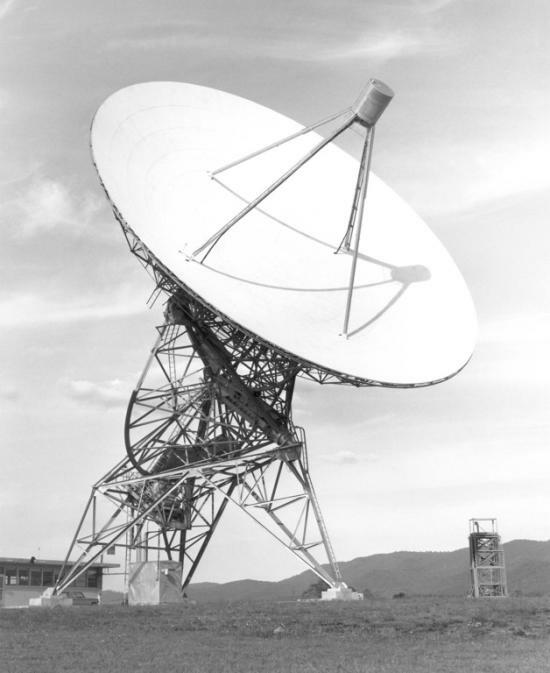 In 1964 when the NRAO decided to build an interferometer, the Tatel Telescope became the fixed element in the NRAO 3-element interferometer system. Credit: NRAO/AUI/NSF.